Tesco has had a tough time recently, struggling to maintain profits and desperately trying to regain trust from their customers. In the last 12 months, Tesco’s profits have plummeted and forced them to close a number of stores across the country. Currently, the supermarket chain insists that they are rejuvenating their dedication to marketing. 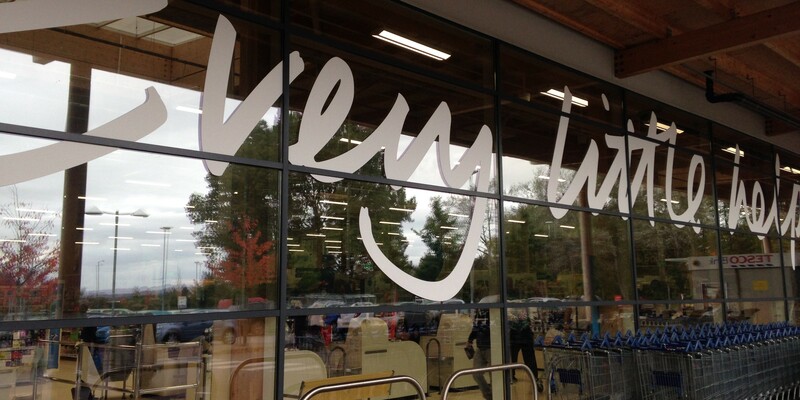 Tesco’s CEO, David Lewis, is happy to express his confidence in Tesco’s recent and upcoming strategy: “We have delivered an unprecedented level of change in our business over the last twelve months and it is working”. He claims that Tesco are now focusing on in-store customer experiences by increasing the number of staff in-store and adapting the shopping environment. However, with the rise of discounter brands such as Aldi and Lidl, is Tesco doing enough to maintain their position in the fast moving consumer goods industry? One of Tesco’s biggest challenges is addressing the relevance of their Clubcard loyalty scheme. At some point in history, Tesco were applauded for their Clubcard due to its originality and generosity. Tesco customers would receive 1 point for every £1 they spent in store along with frequent vouchers tailored to the customer’s preferences and shopping habits. Now, critics are warning the supermarket that they must develop their loyalty scheme to keep up with competitors. Customers want to see more exciting rewards and online experiences, rather than Tesco’s traditional Clubcard scheme which featured predominantly offline qualities. Recently, Tesco has demonstrated their willingness and dedication to evolve and is beginning to display their revival. Last week (12th October), Tesco led the way for other supermarkets, as they introduced an automatic Brand Match Guarantee. Currently, leading supermarkets offer their customers vouchers for the difference in the price of products which are cheaper at other competing retailers. Tesco has gone beyond expectations and improved their offer by saving the consumer the hassle of holding onto vouchers which they might not even get a chance to use at a later date. For customers, this means that Tesco will automatically reduce your bill on the spot if your shopping would’ve been cheaper in Asda, Morrisons or Sainsbury’s. This is a great step in the right direction for Tesco as no other leading supermarket currently offers this automatic deal. For competitors, this is something they need to consider, especially if customers respond well to this new policy. This reconstruction of the brand is set to continue as Tesco have also outlined their target of improving their marketing tactics. David Lewis has announced that Tesco are currently filming a Christmas advert which they hope will appeal to family-orientated customers. The advert allegedly features Gavin and Stacey star, Ruth Jones, which hopes to bring back a warm, inviting personality for Tesco, but is this enough to regain the public’s trust? It seems that at the moment, Tesco is still detested by members of the public and they have experienced the wrath of protests against the new 5p carrier bag charge. Some of Tesco’s stores have been forced to put security tags on shopping baskets as customers are stealing them to avoid paying 5p per carrier bag at the checkout. Tesco is not the only one dealing with disputes though, as some customers are publicly stealing trollies from supermarkets and taking them home to avoid paying for shopping bags. Social media posts have gone viral after customers have posted daring photos of shopping trollies in their kitchens. Despite the challenges that Tesco has faced, their attempts to rebuild their brand have so far impressed many consumers. They are putting up a fight for their position in the market and using these resilient and durable tactics to win back customer loyalty. Of course, they still have a long way to go before customers begin to trust them again but it’s fair to say that they are on their way.